2015 has been such a great year for me on a personal and a professional plan, most of it thanks to you. I’m so grateful and I wish you the very best for the new year to come. As a thank you gift, I’ve been working on a special pattern for you all. Now it’s time to releave and release it, in time for the Holidays! 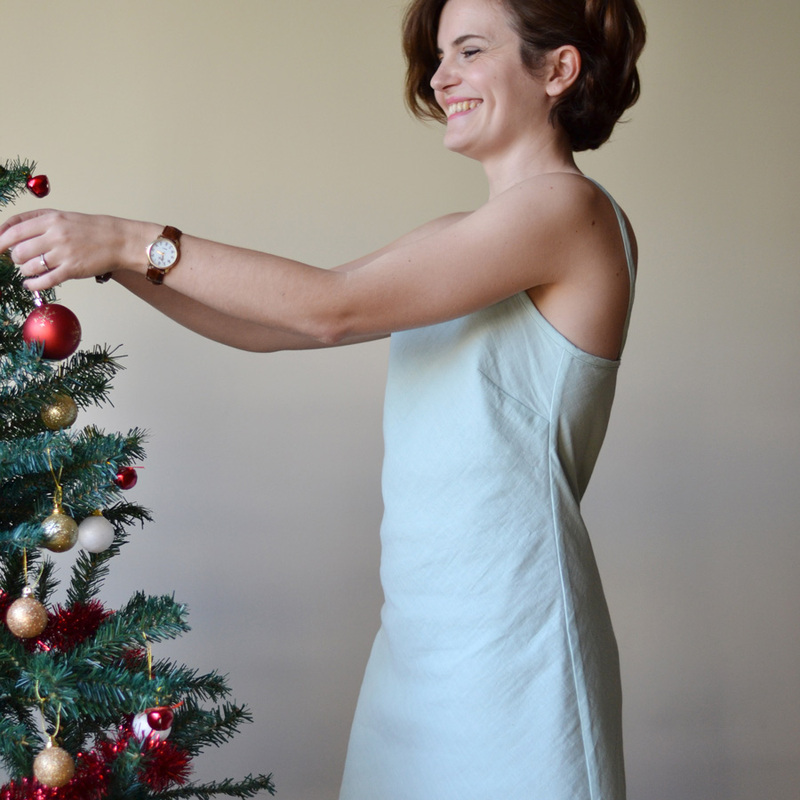 Available as a free download, the Bailén Top & Dress pattern is easy to make and wear. The pattern is cut on the bias to give a great fit without addind any type of closure: the front darts and bias cut allow the fabric to follow the curves of the body without restriction. 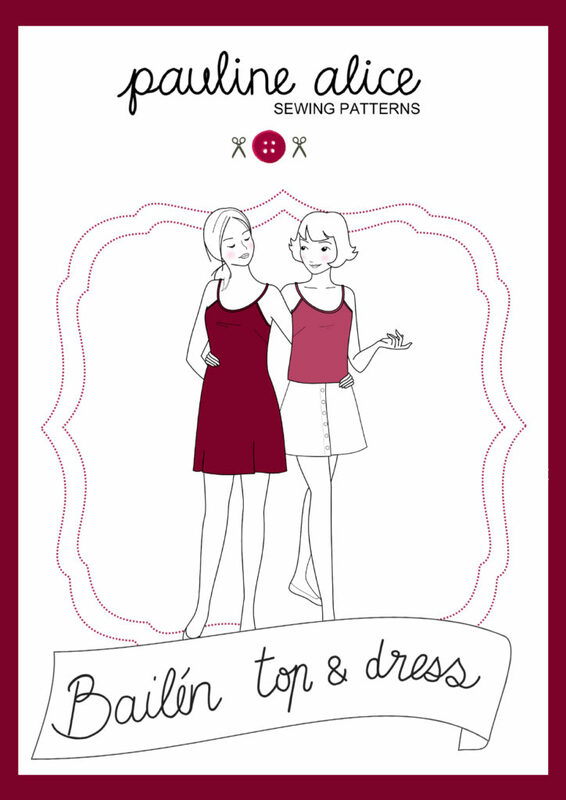 There are two lengths included so you can either make a top or a short dress. You’ll learn how to sew french seams, a baby hem and to use bias binding to finish the neckline and make straps. Find the Bailén pattern on the shop and sign in to download it. This is a top I made last month and I’ve been wearing it quite a lot now. I remember seeing this new pattern by Delphine et Morrissette and thinking “Oh, this is so lovely!” exactly the kind of top you make many times in many fabrics. The pattern is well designed, I love the instructions for the flounces, they allow a very neat finish. As for the fabric, this blue and black beauty is from Supercut. Marine was so nice as to send it with an order as it was stained (Marine, where was the stain? I was unable to see it!). It’s a beautiful silk, so soft and with great colors. I love how it moves.What are you making for the summer? Tops, dresses, shorts? Let me know.